Share this link, choose your platform! Besides its multiple physiological functions as the largest organ of the human body, the skin is essentially a complex biophysical interface separating and protecting the internal body structures from the external environment. As humans go through their life their skin is constantly subjected to mechanical contact interactions with a wide range of objects and devices which include clothing fabrics, footwear, seating and bedding surfaces, sports equipment, personal care products or medical devices. These tribological interactions are an essential part of how humans perceive their environment for cognitive awareness, social interaction or self-preservation. Whether it be from the angle of a clinical dermatologist, a molecular biologist, a biophysicist, a tissue engineer or a computational modeller, the skin offers exciting research opportunities which ultimately could lead to new diagnosis tools and treatments, or quite simply, to products that would make us look younger or feel happier. To unravel some of the secrets of such a complex organ new experimental, imaging and computational techniques are needed and novel theories explaining particular mechanobiological processes need to be formulated and put to the test. Developing and exploiting such an integrated framework is the main research goal. Leyva-Mendivil, M. F., Lengiewicz, J. & Limbert, G. (2018) Skin friction under pressure. The role of micromechanics. 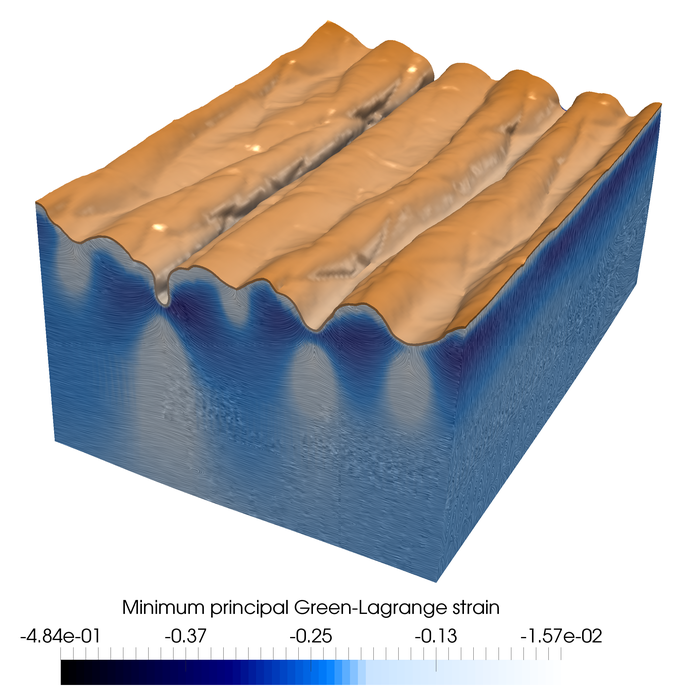 Leyva-Mendivil, M. F., Lengiewicz, J., Page, A., Bressloff, N. W. B. and Limbert, G. (2017) Skin microstructure is a key contributor to its friction behaviour, Tribology Letters, 65:12. McBride, A., Bargmann, S., Pond, D. and Limbert, G. (2016) Thermoelastic modelling of the skin at finite deformations, Journal of Thermal Biology, 62(B): 201-209. Leyva-Mendivil, M. F., Page, A., Bressloff, N. W. B. and Limbert, G. (2015) A mechanistic insight into the mechanical role of the stratum corneum during stretching and compression of the skin, Journal of the Mechanical behavior of Biomedical Materials, 49:197-219. Limbert, G. (2014) Chapter 4: State-of-the-art computational modeling of skin biomechanics, 95-131, In: Computational Biophysics of the skin, B. Querleux (ed) PanStanford Publishing Pte Ltd, Singapore, 558 pages. Limbert, G. (2011) A mesostructurally-based continuum model for biological soft tissues. Decoupled invariant formulation, Journal of the Mechanical Behavior of Biomedical Materials, 4(8):1637-1657. Besides their complex multiscale structure and associated non-linear mechanics, biological tissues are adaptive living materials which feature strongly coupled multiphysics processes. Unravelling the interplay between these physical processes, structure and function is essential in understanding the physiology of tissues and organs in health and disease. This knowledge is also essential in the design and optimisation of medical devices and the development of practical tissue engineering and regenerative medicine solutions. The primary goal of this research is to gain a mechanistic insight into the physics of biological tissues and biomaterials through the development of experimentally-based mathematical and computational models. Domains of application span many industrial sectors including biomedicine, medical devices, pharmaceutics, consumer goods, cosmetics and safety. Limbert, G., Omard, R., Krynauw, H., Bezuidenhoutd, D. and Franz, T. (2016) The anisotropic mechanical behaviour of electro-spun biodegradable polymer scaffolds. Experimental characterisation and constitutive formulation. Journal of the Mechanical Behavior of Biomedical Materials, 53:21-39. Quinci, F., Dressler, M. R., Strickland, A. M. and Limbert, G. (2014) Towards an accurate understanding of UHMWPE visco-dynamic behaviour for numerical modelling of implants, Journal of the Mechanical Behavior of Biomedical Materials, 32:62-75. Nobakhti, S., Limbert, G., Thurner, P. J. 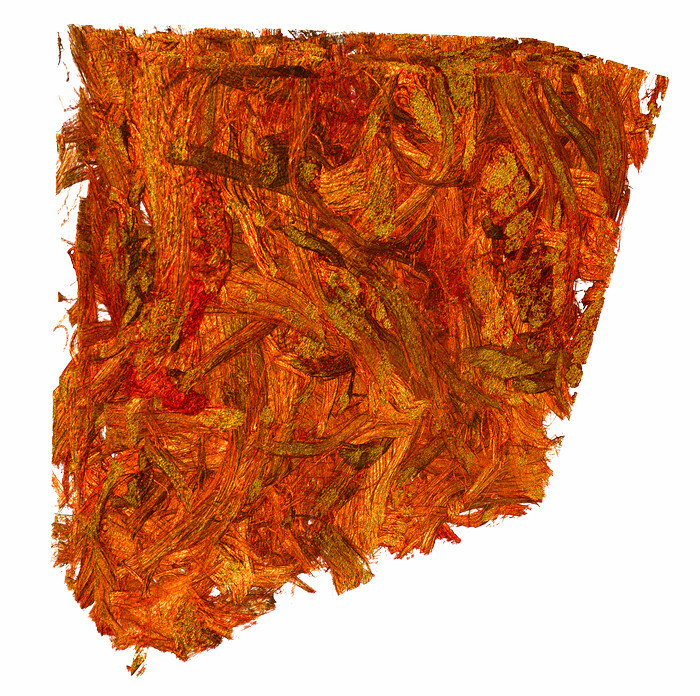 (2014) Cement lines and interlamellar areas in compact bone as strain amplifiers—Contributors to elasticity, fracture toughness and mechanotransduction, Journal of the Mechanical Behavior of Biomedical Materials, 29:235-251. Limbert, G., Bryan, R., Cotton, R., Young, P., Hall-Stoodley, L., Kathju, S. and Stoodley, P. (2013) On the mechanics of bacterial biofilms on non-dissolvable surgical sutures: A laser scanning confocal microscopy-based finite element study. Acta Biomaterialia, 9(5):6641-6652. 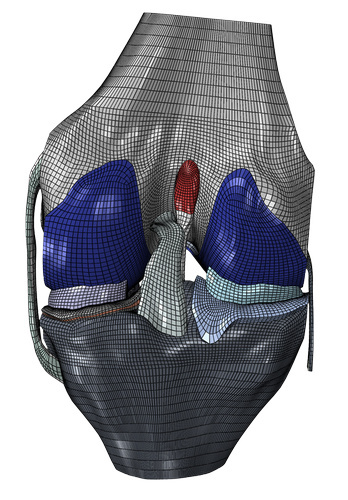 Pant, S., Bressloff, N. W. and Limbert, G. (2012) Geometry parameterisation of multidisciplinary constrained optimisation of coronary stents, Biomechanics and Modeling in Mechanobiology, 11(1-2):61-82. Thin membrane structures are ubiquitous in Nature from virus shells and cell membrane, through the placenta of mammals, to the heart valves and the skin. Due to their singular structural stiffness, membranes can exhibit a wide range of instabilities including buckling, wrinkling or folding. Elucidating the physics of these phenomena is key in explaining many natural and engineered processes from morphogenesis and skin wrinkling to pattern formation and thin film delamination. 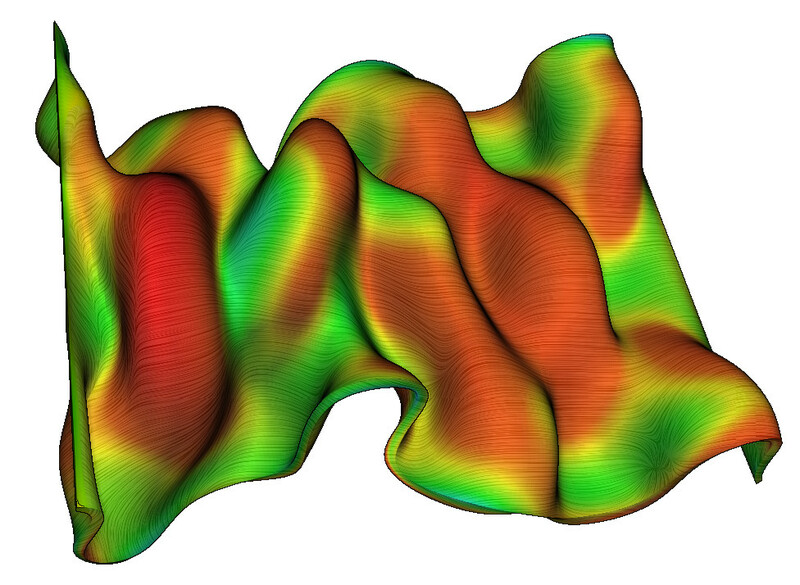 The primary goal of this line of research is to develop robust numerical formulations to study wrinkling instabilities in human skin and electroactive polymers and to exploit these knowledge bases to develop physics-based anti-wrinkle strategies and design bio-inspired soft morphing structures (e.g. for antibiofouling or tunable friction). Chen, L., Nguyen-Thanh, N., Gu, Y. T., Nguyen-Xuan, H., Rabzcuk, T., Bordas S. P. A. and Limbert, G. (2014) Explicit finite deformation of isogeometric membranes, Computer Methods in Applied Mechanics and Engineering., 277:104-130. Wear of materials is the main limiting factor in the lifespan of many components for a wide range of industrial applications from joint replacements to the solid lubricant used in razors. The aim of this research is to develop predictive physics-based models of wear. US Patent 15/133,265, 2016-04-20 (Pending), Method for determining the worn shape of a deformable body, Drake, J. A., Stephens, A. F., Sutton, D. C., Limbert, G. R. J.
Sutton, D. C., Limbert, G., Stewart, D., and Wood, R. J. K. (2014) A functional form for wear depth of a ball and a flat surface, Tribology Letters, 53:173-179. Sutton, D. C., Limbert, G., Stewart, D., and Wood, R. J. K. (2013) The friction of diamond-like carbon coatings in a water environment, Friction 1(3):210-221. Sutton, D. C., Limbert, G., Burdett, B., and Wood, R. J. K. (2013) Interpreting the effects of interfacial chemistry on the tribology of diamond-like carbon coatings against steel in distilled water, Wear, 302(1-2):918-928.